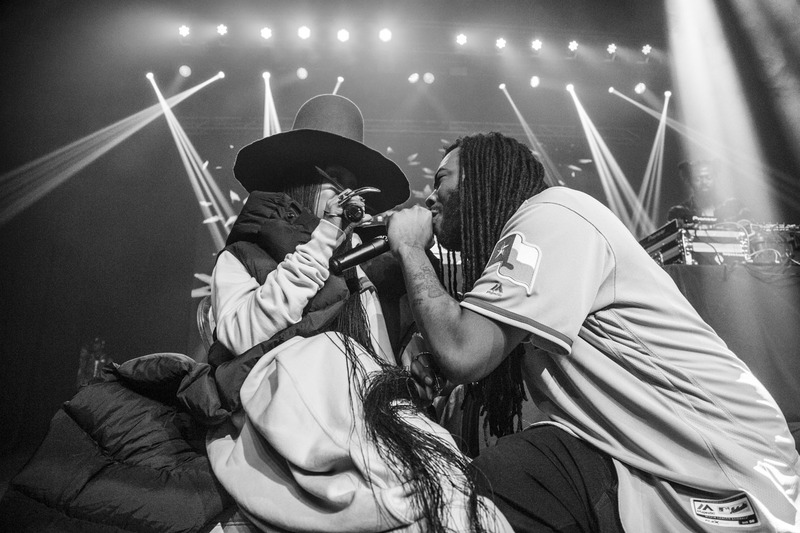 With Wiz Khalifa, D.R.A.M. 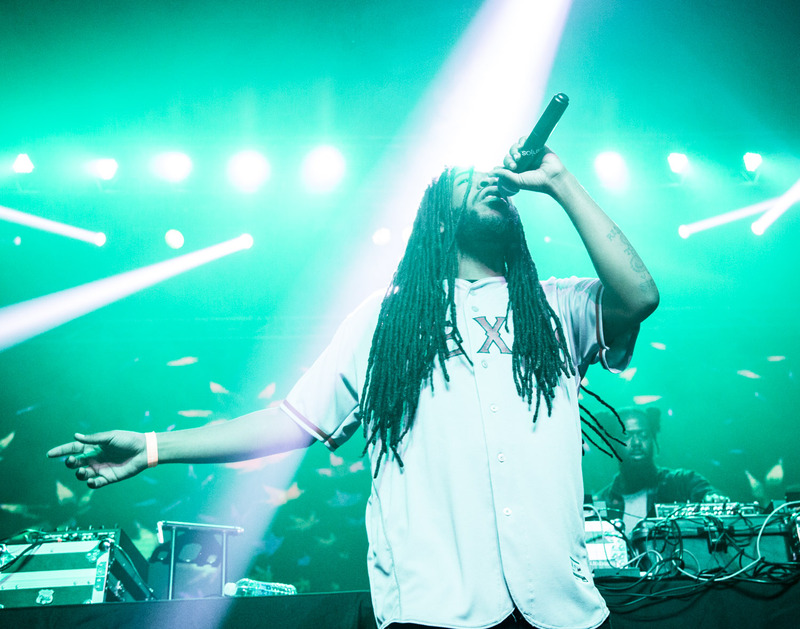 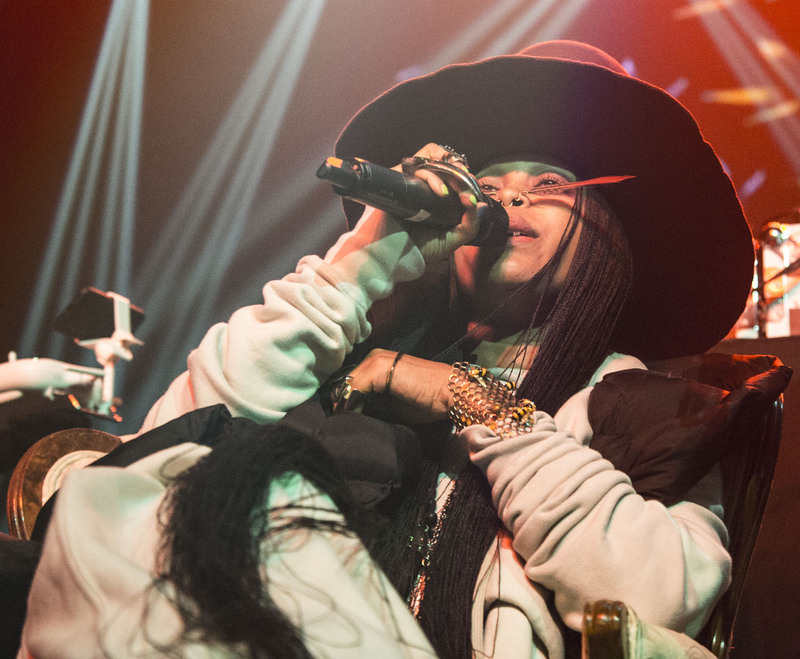 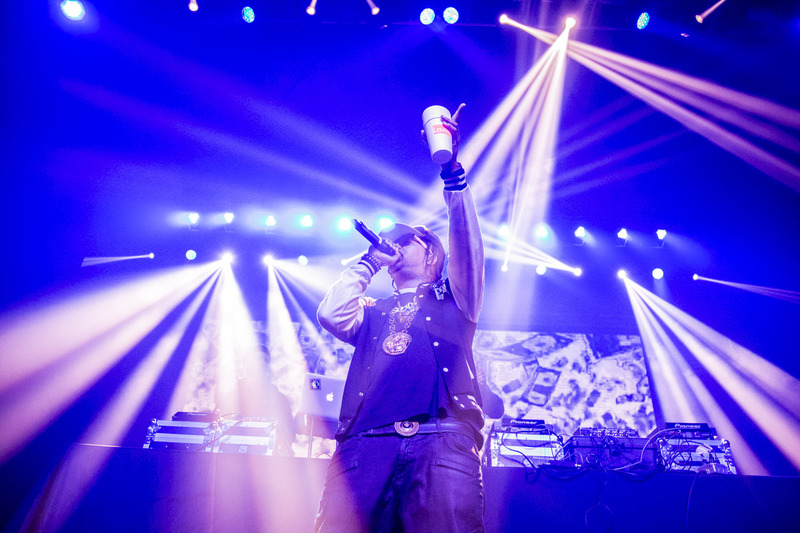 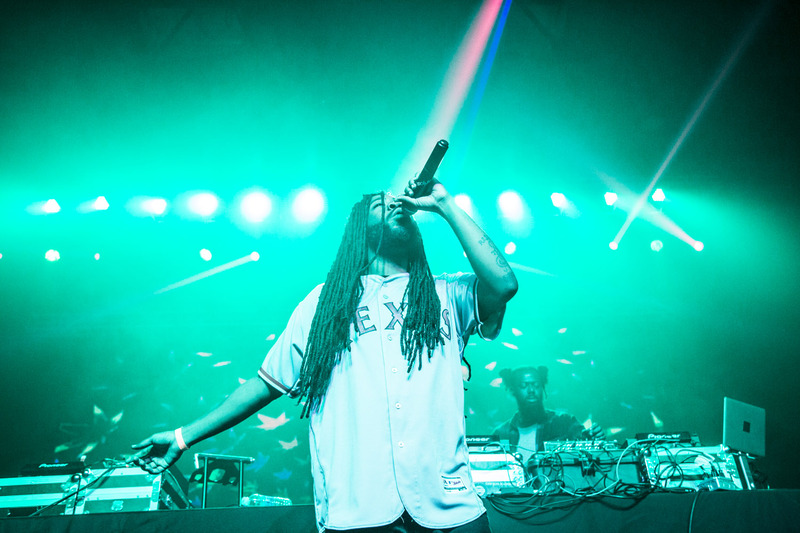 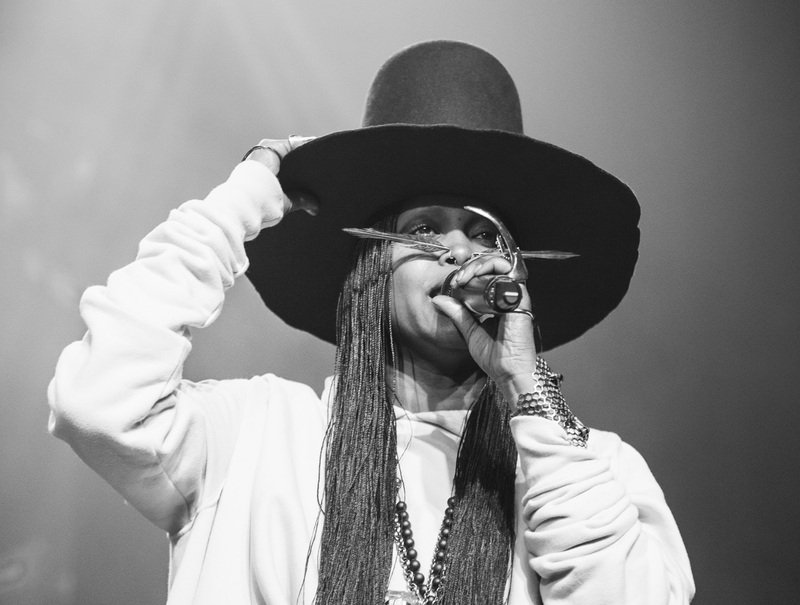 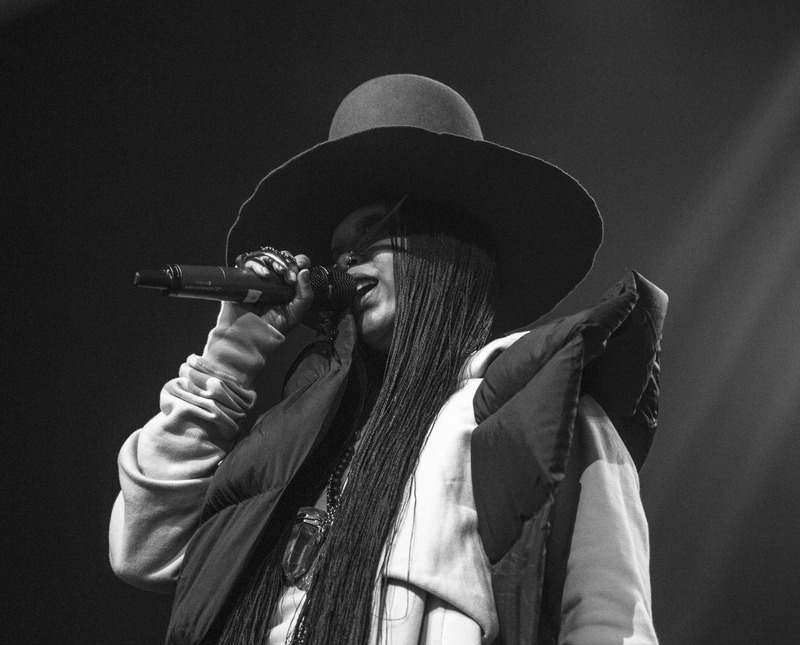 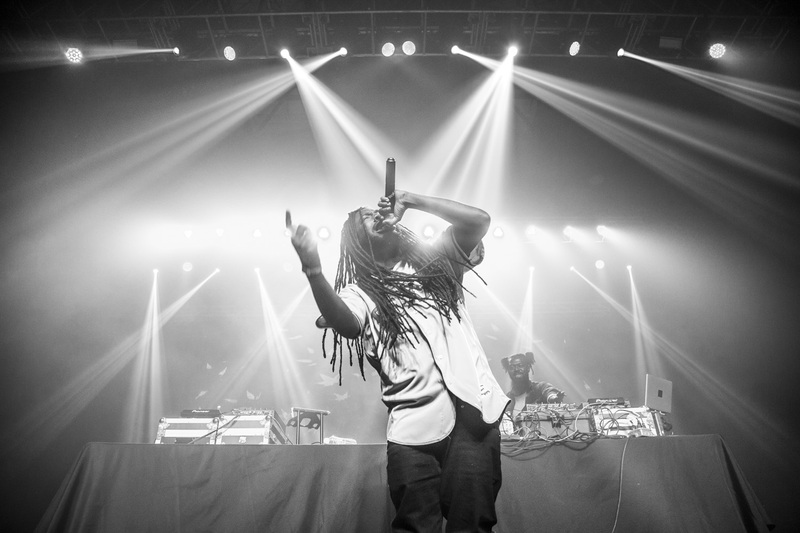 and Others — Plus Cameos From Curren$y and Erykah Badu, To Name A Few — Friday Night’s Bric’s Block Party At The Bomb Factory Proved To Be Just The Hip-Hop Showcase Dallas Needed. 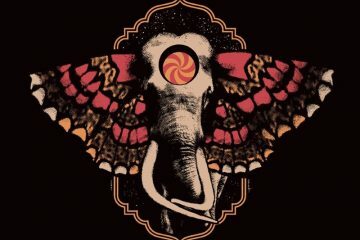 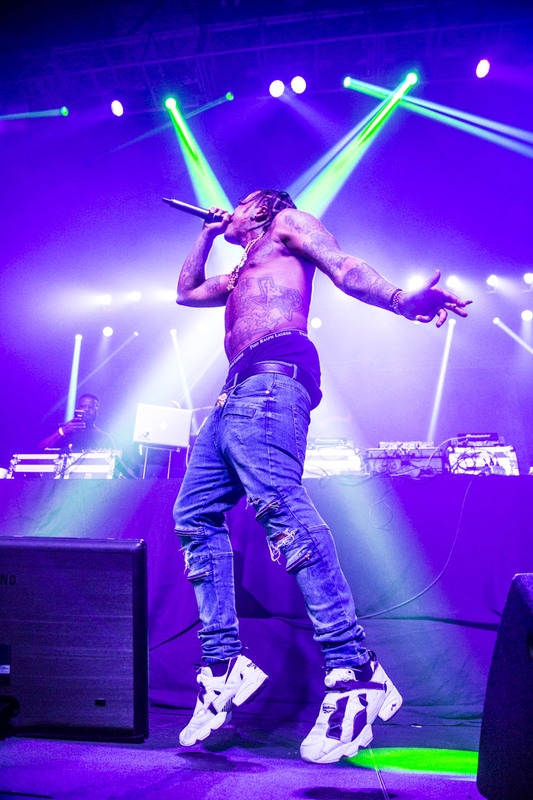 It’s a shame, but the truth of the matter is that 90 percent of every hip-hop show we attend that’s not thrown by LiveNation, AEG Live, Scoremore or the venue hosting it ends up being a total shitshow. 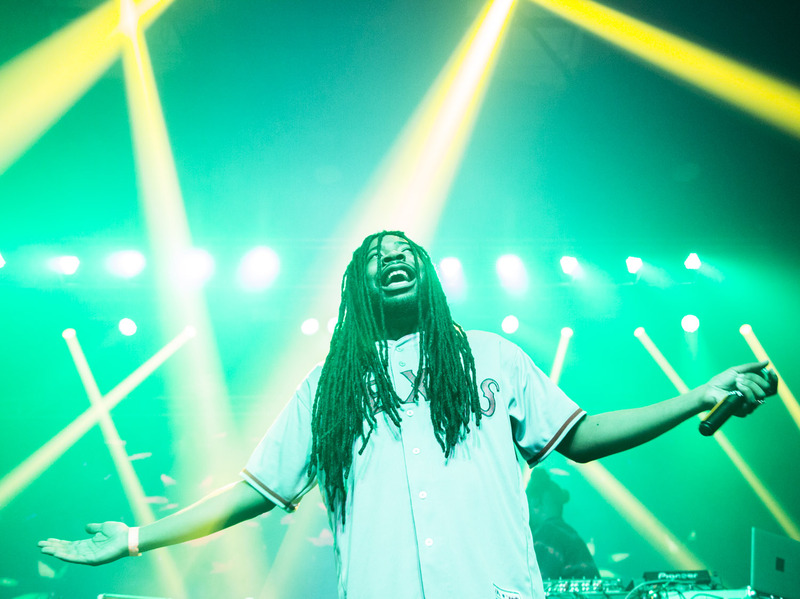 These shows are messes filled with too many performers, DJ sets that drag on too long, sound and lighting that’s handled like an after-thought, and scheduling that might as well be nonexistent. 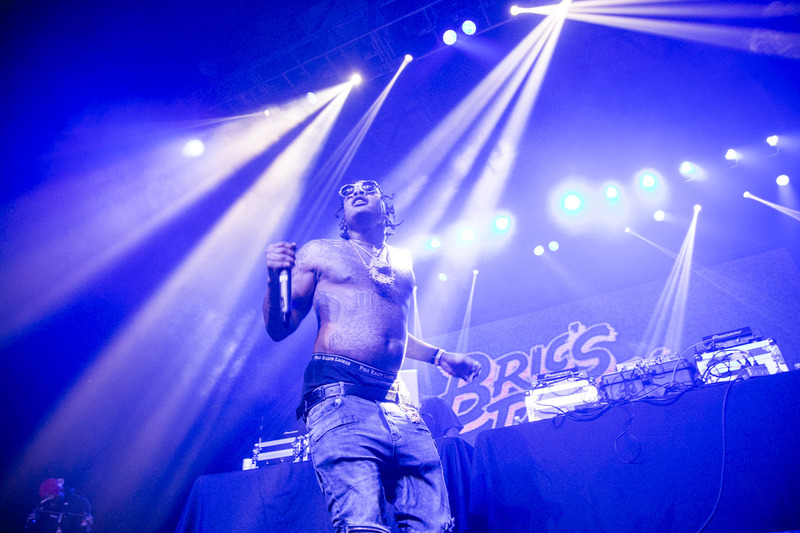 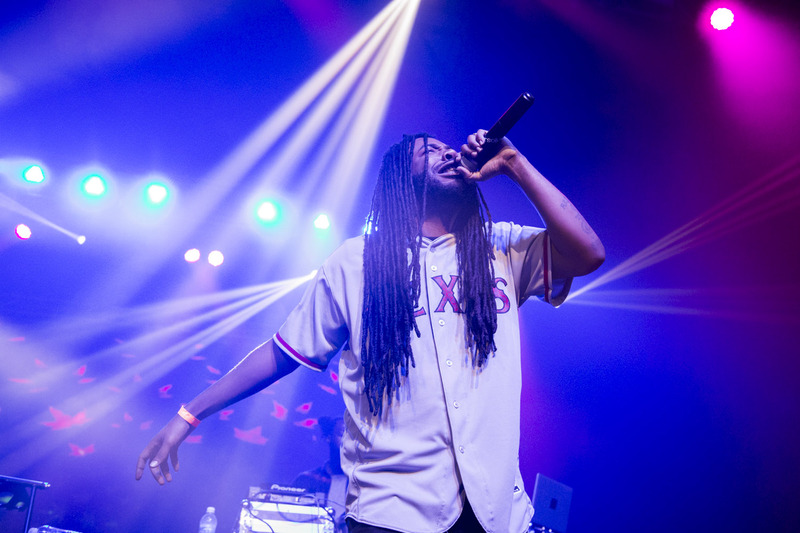 Thankfully, none of this was the case on Friday night at The Bomb Factory as the promotions company 24kbric, recently seen throwing a similarly smooth Post Malone-headlined showcase at Trees as part of #DallasWeek 2015, hosted a murderer’s row of nationally relevant performers for its Bric’s Block Party bash. 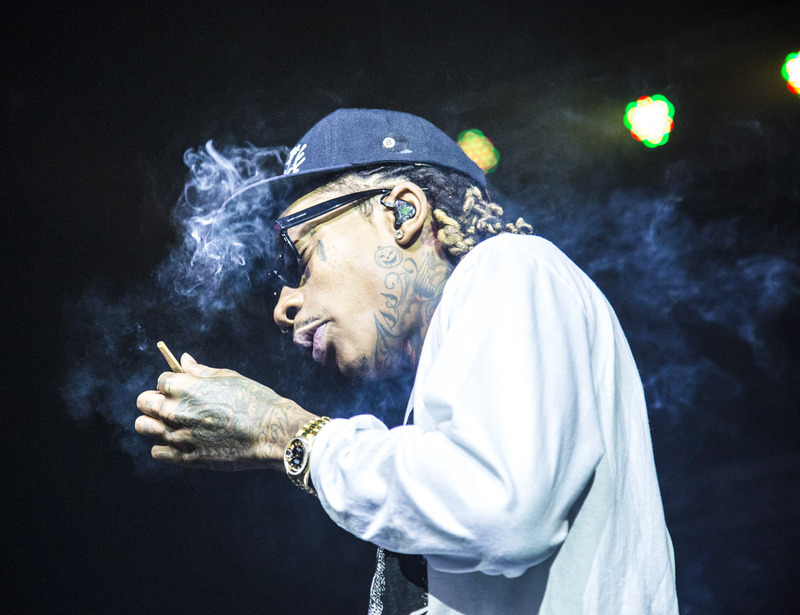 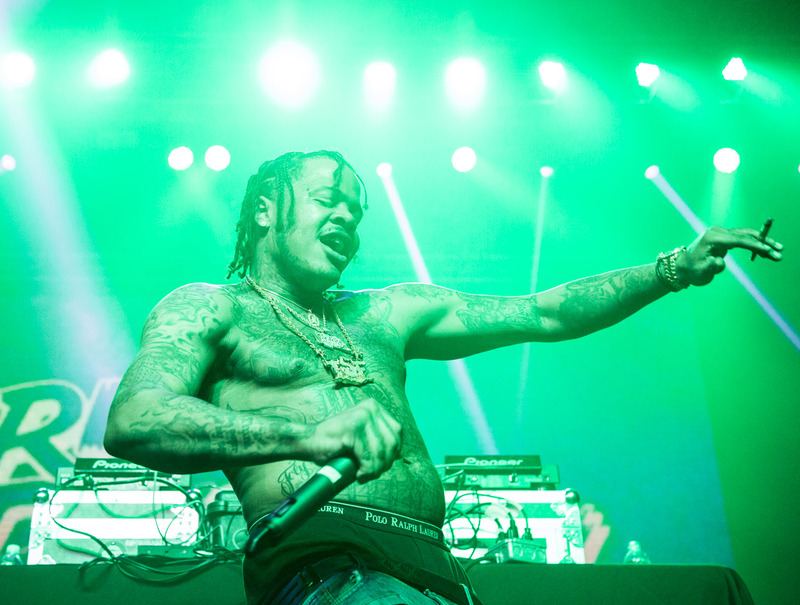 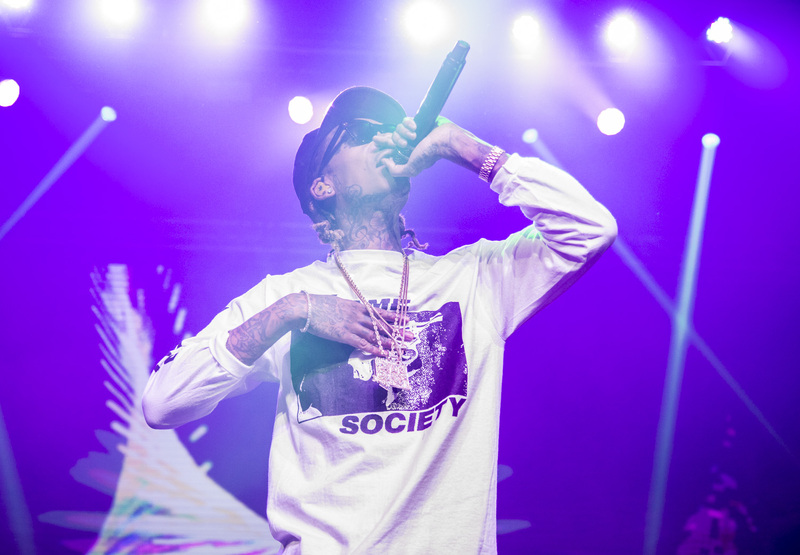 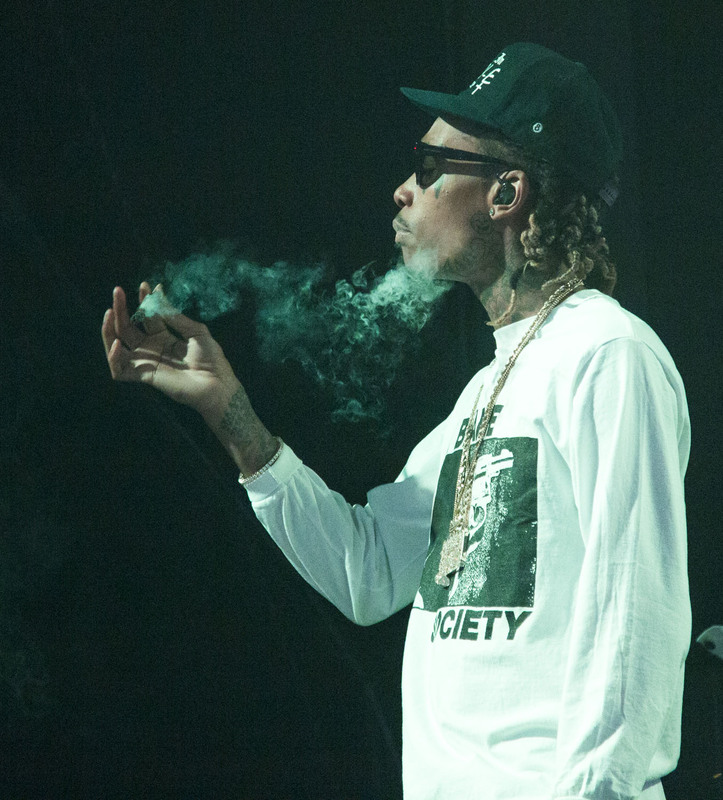 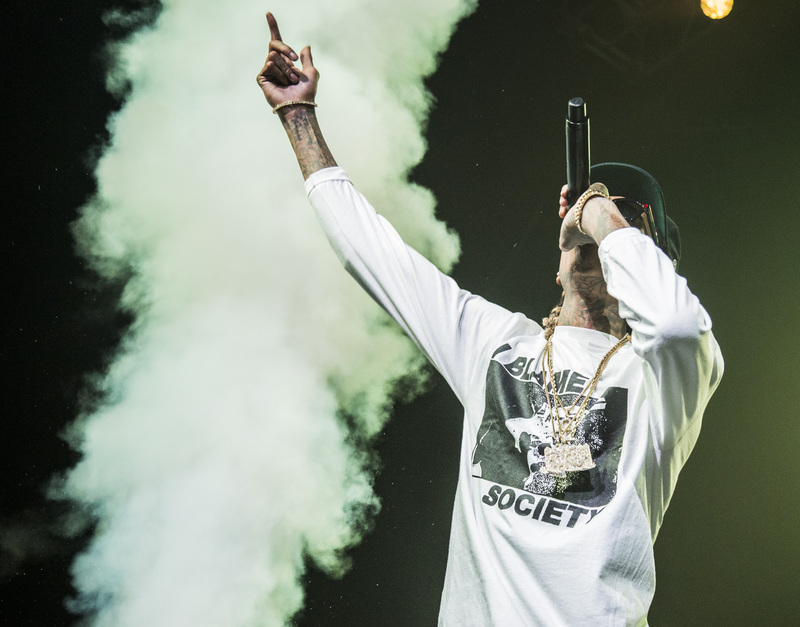 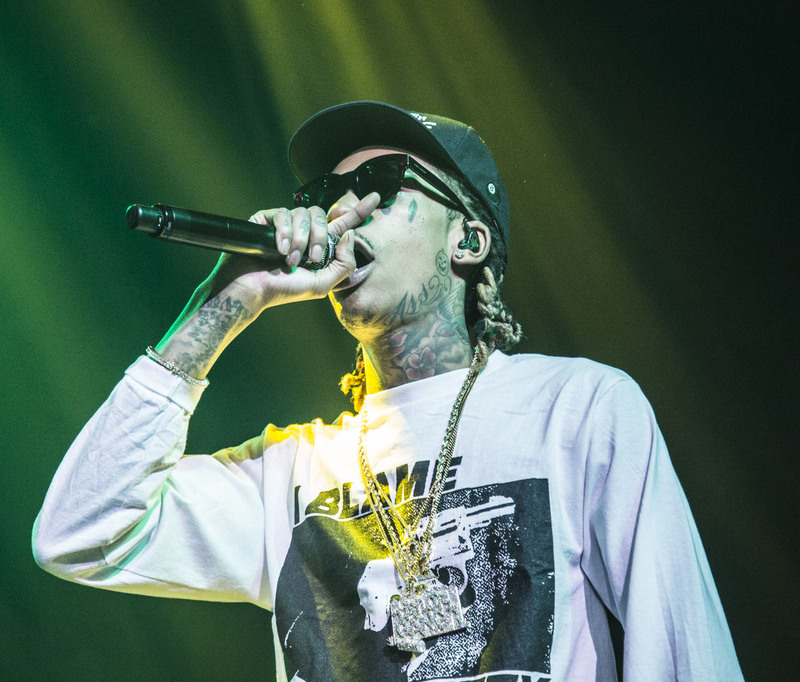 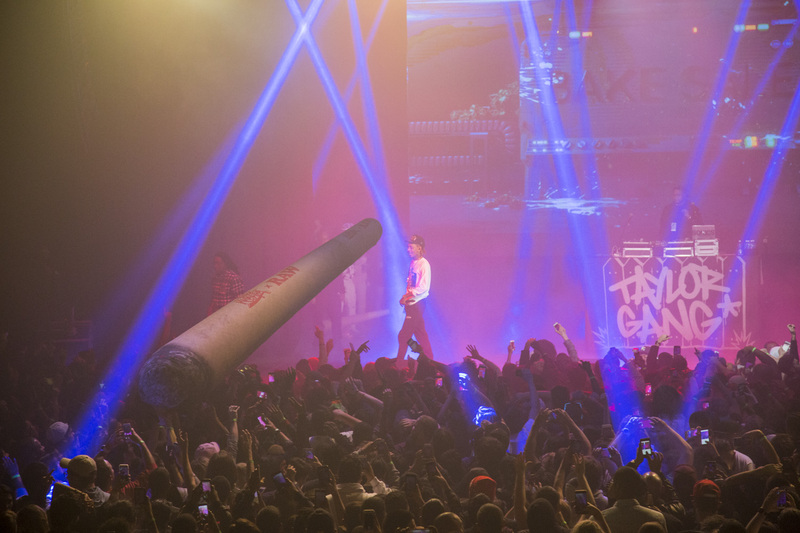 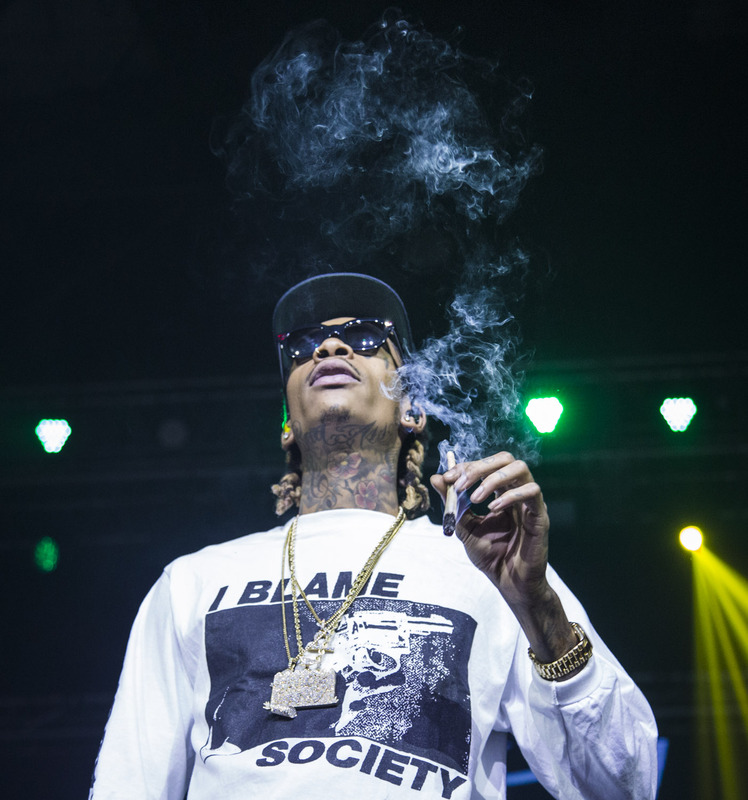 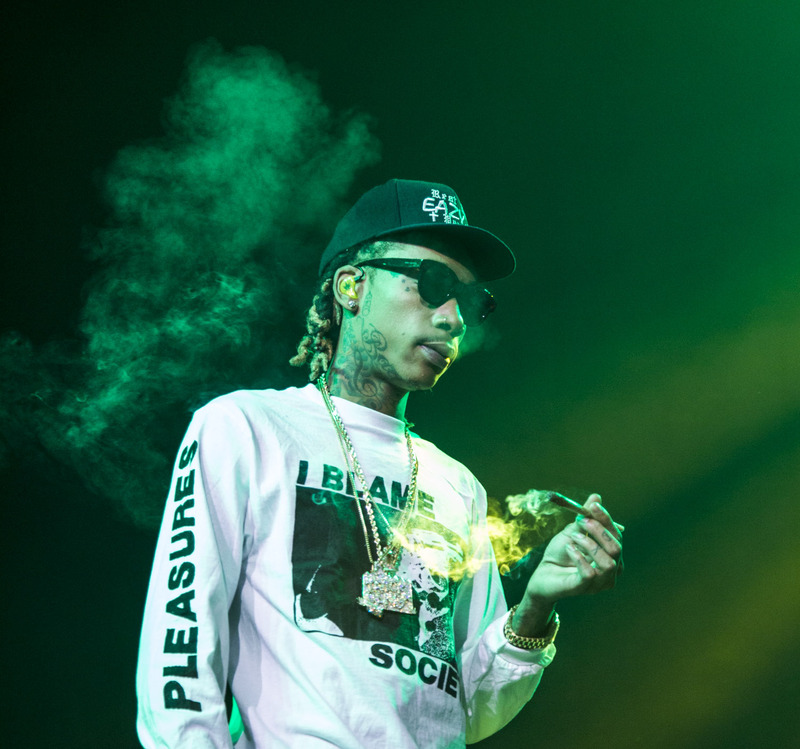 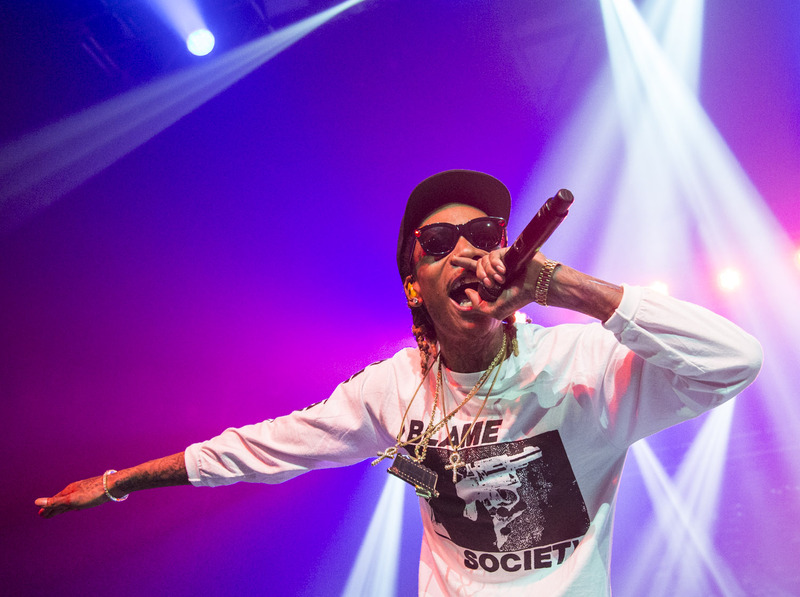 Wiz Khalifa was the name atop the advertised bill — just above D.R.A.M., Sosamann and Smoke DZA — but this night offered so much more than that, thanks to unannounced (and appropriately brief) cameos from the weed-adoring Curren$y, Taylor Gang’s Chevy Woods, Dallas queen Erykah Badu and Texas legend Lil Flip, with top Dallas DJs Sober and bemyfriend manning the decks between acts over the course of this 100 percent successful (and surprising) offering. 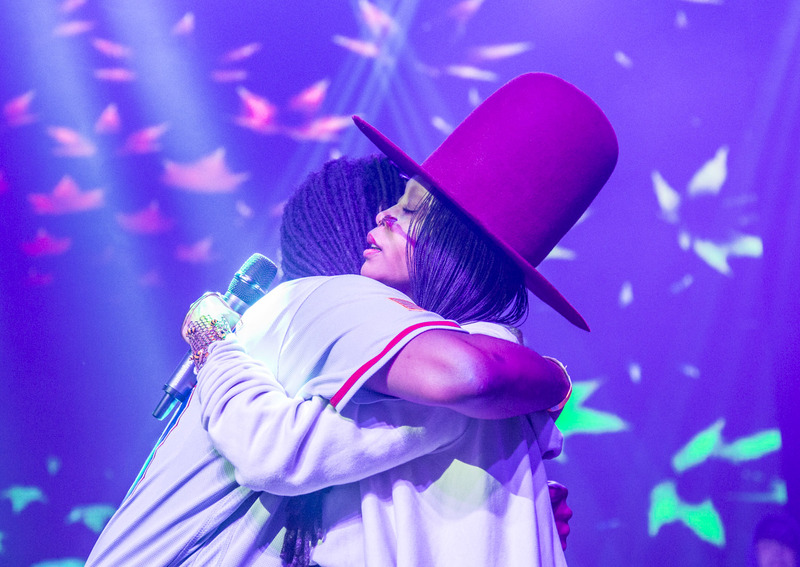 Much like the non-stop affair that was the Bad Boy Reunion at the American Airlines Center back in September, this show wasn’t bogged down by its volume of performers; rather, it was enhanced by it, with each act resigned to playing a specific role in the showcase and committed to bringing their best to the greater goal instead of trying to steal some of the collective shine for themselves. 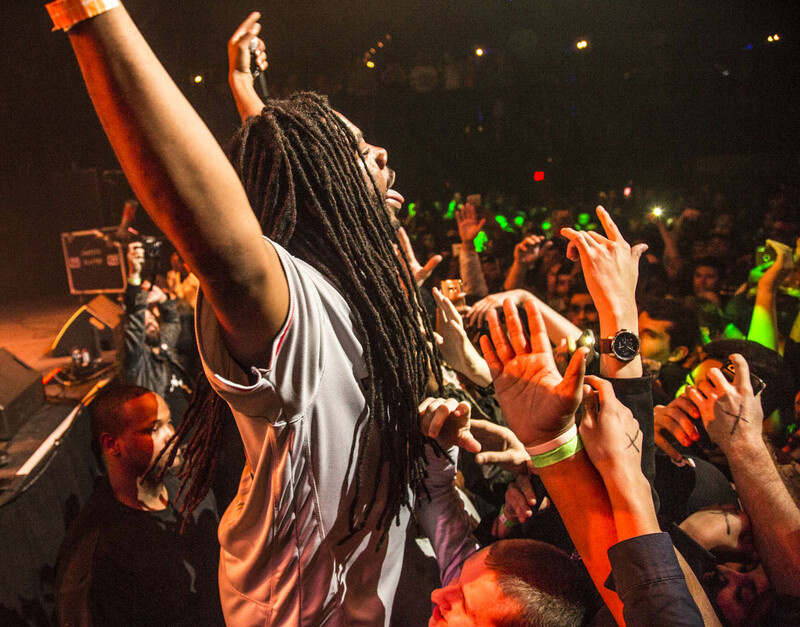 Sosa Man shine for bringing pretty much all the energy in the world to his performance. 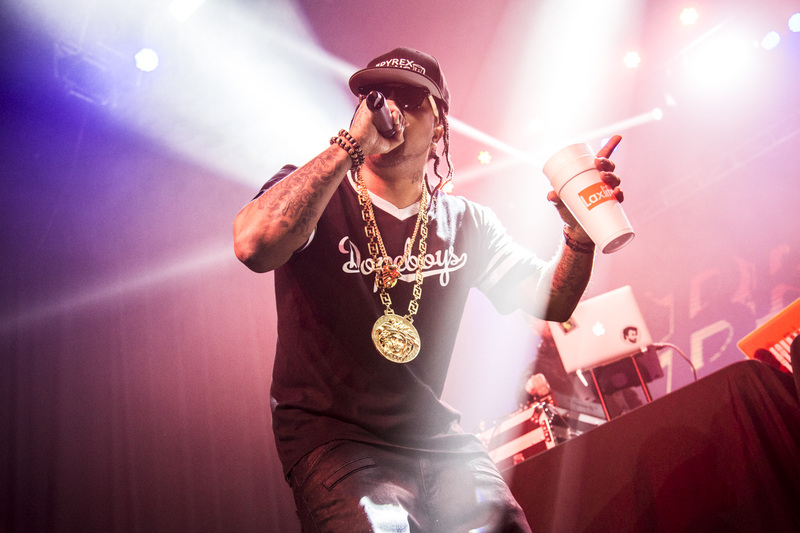 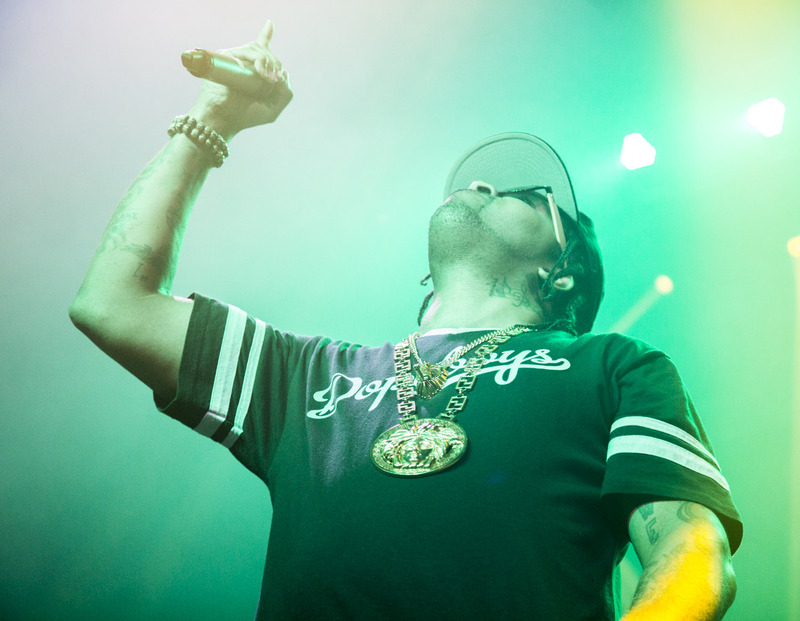 Lil Flip surprised with a crazy EDM remix of “This is The Way We Ball” that turned heads throughout the room. 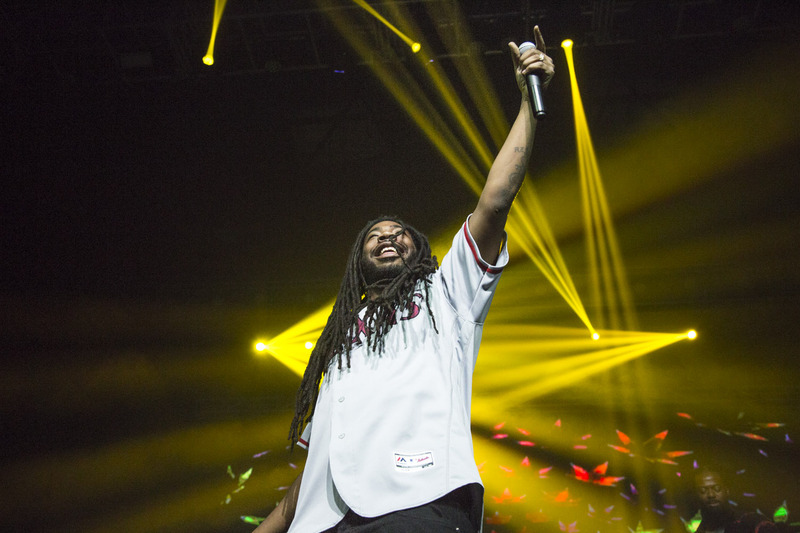 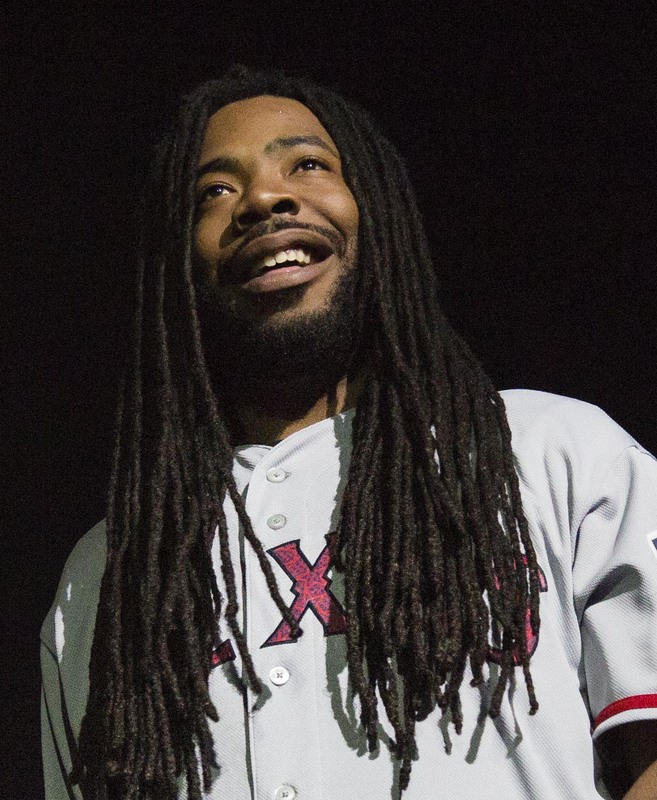 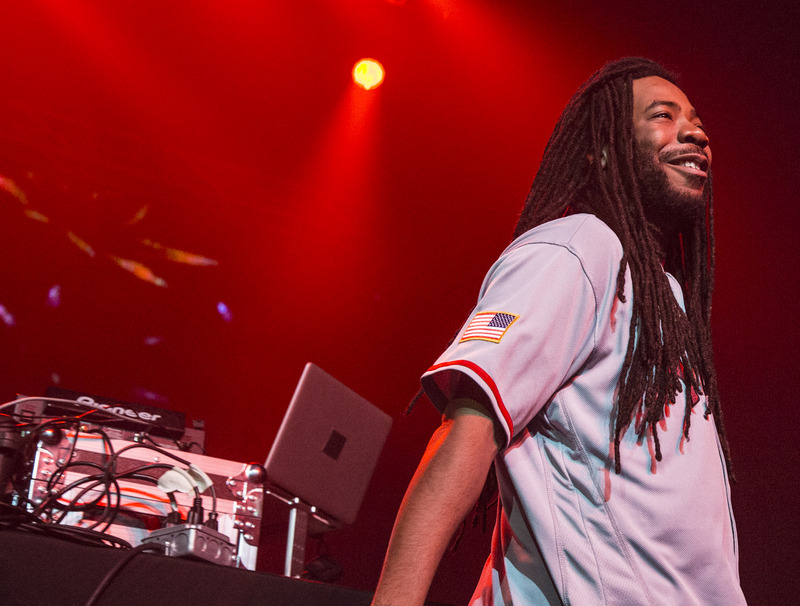 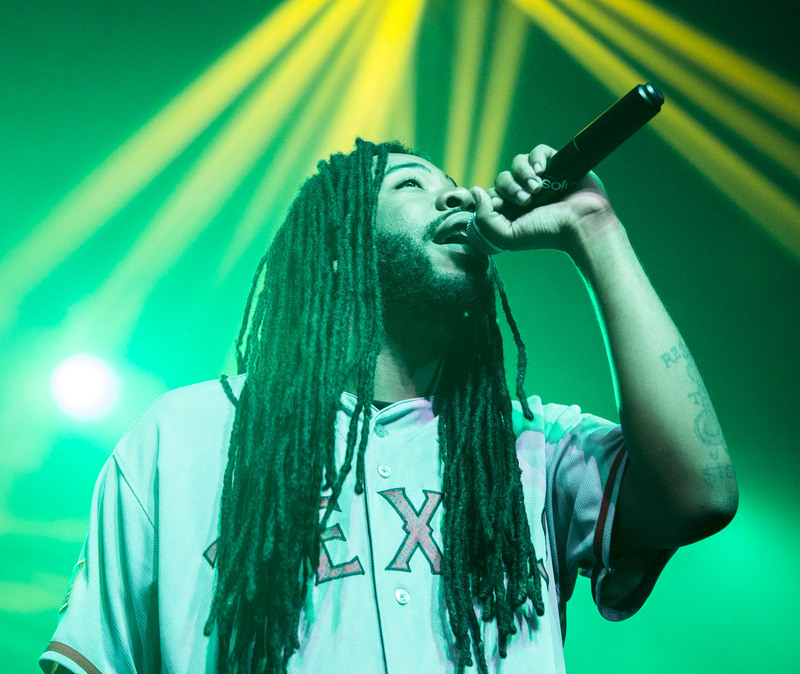 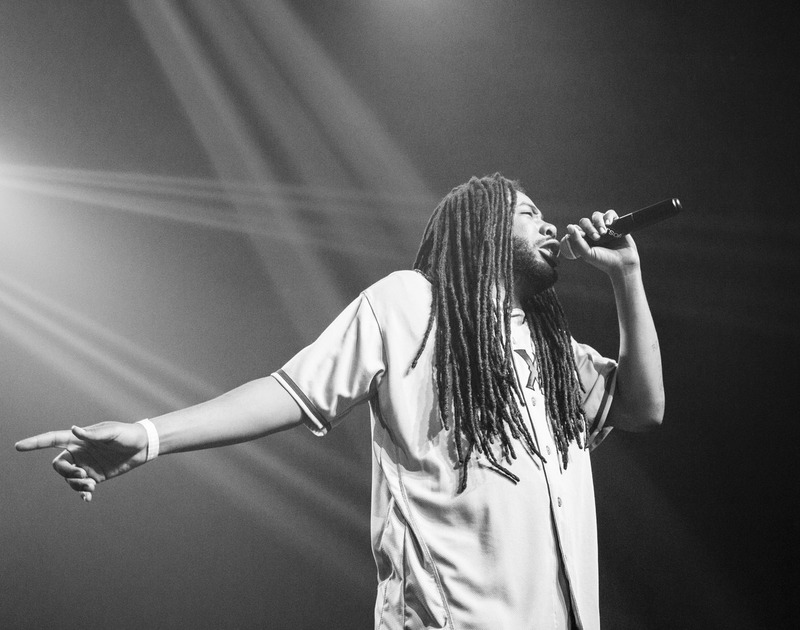 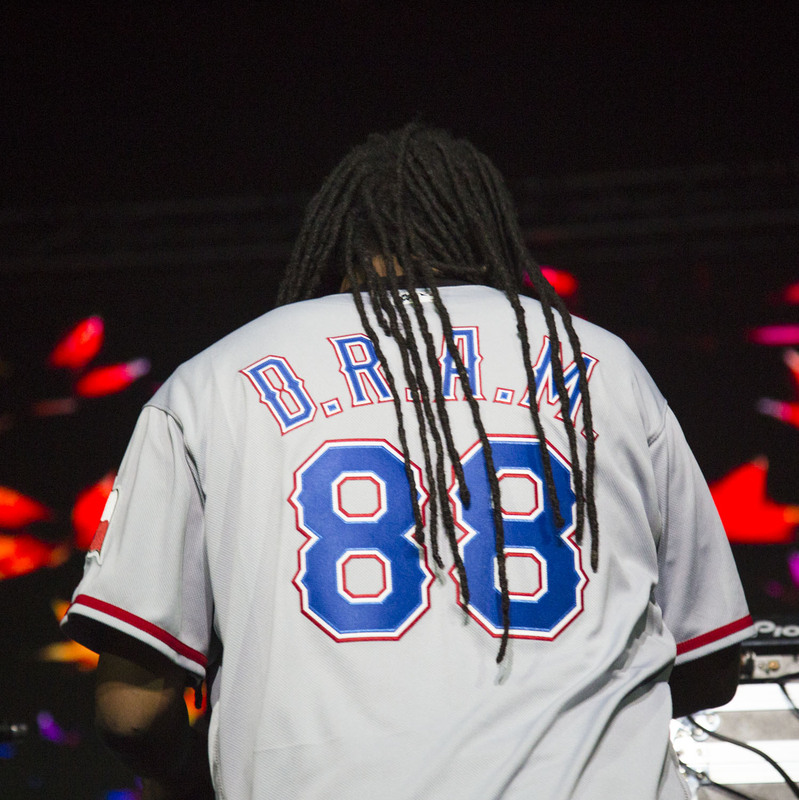 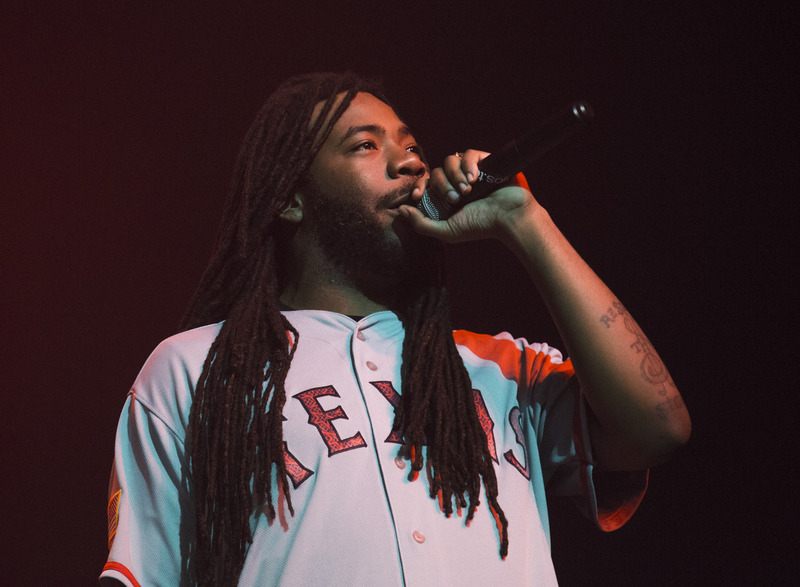 D.R.A.M brought a total party atmosphere to his stage stage time — something we’ve seen from him before, although this time he also brought Badu along to help him perform their collab “WiFi” track. 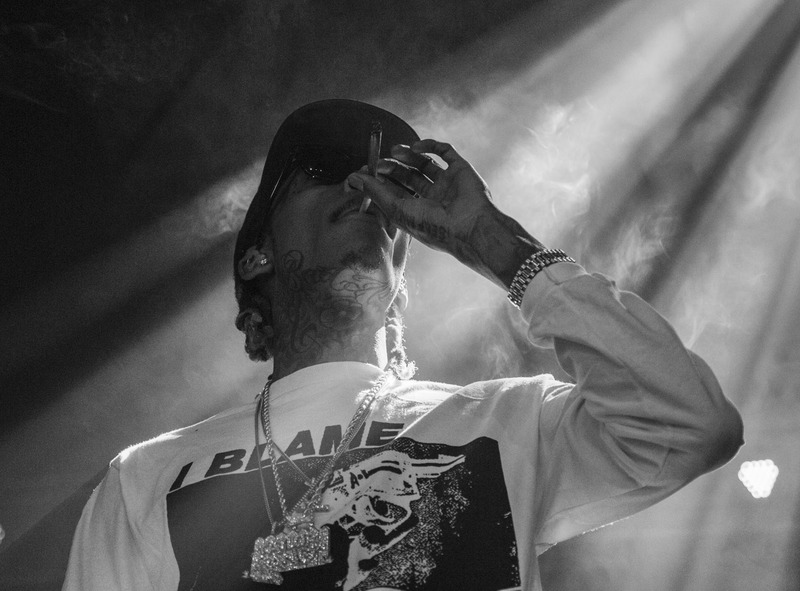 All this before the headliner? 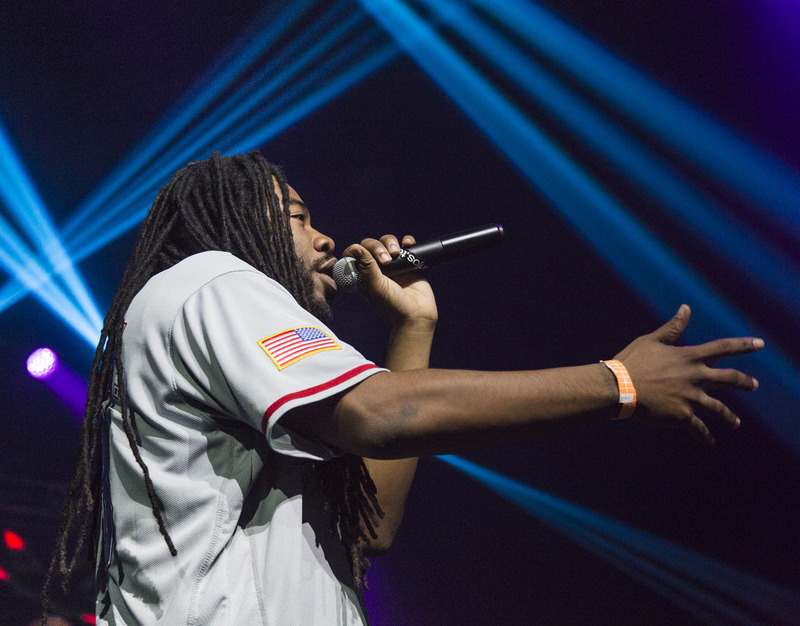 Gotta say: It was pretty dope, and all it took was a visual scan of the crowd to understand that. 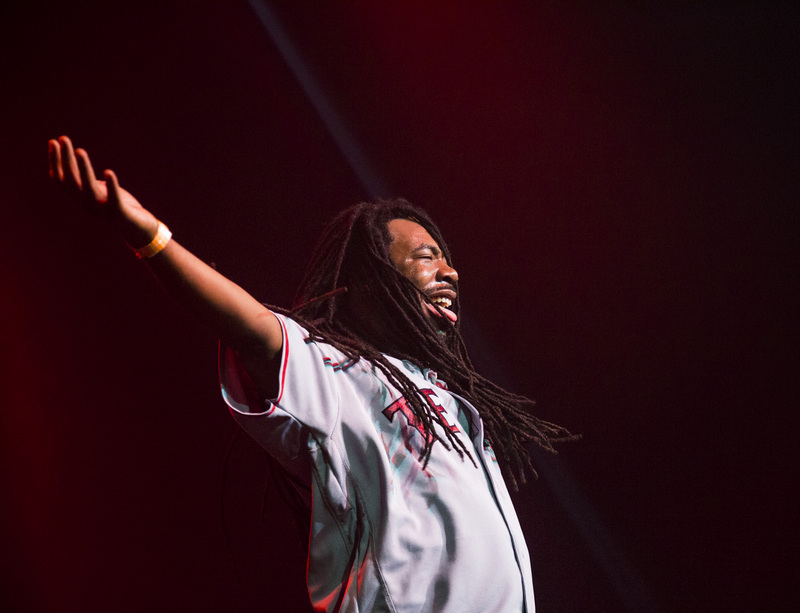 Out on the venue’s floor, the attendees’ faces just oozed absolute happiness. 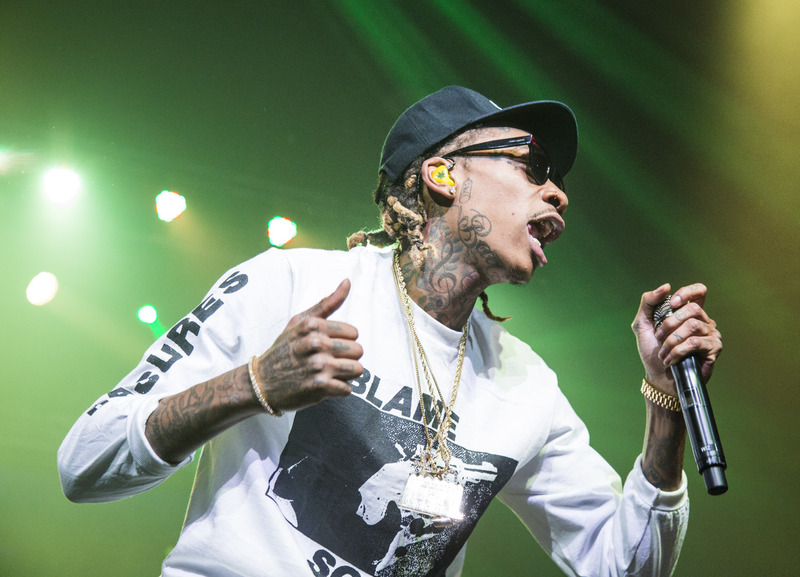 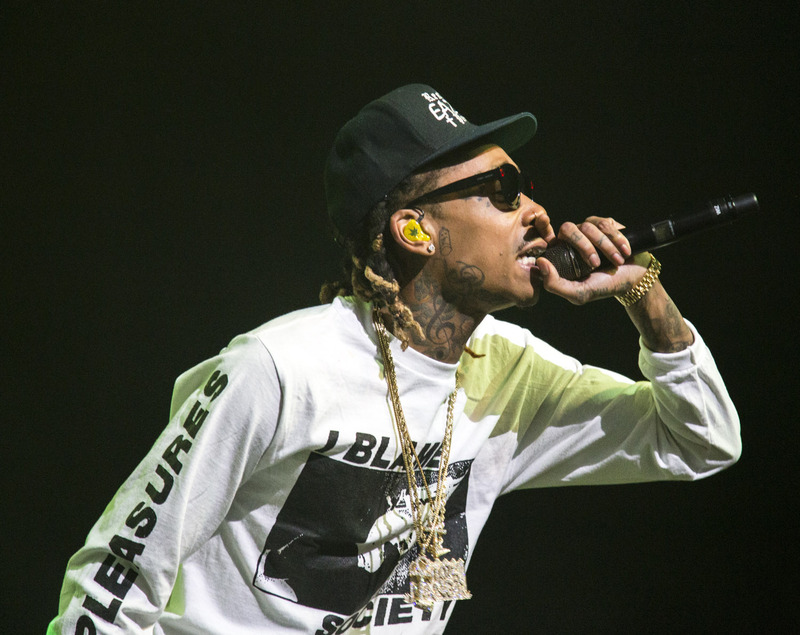 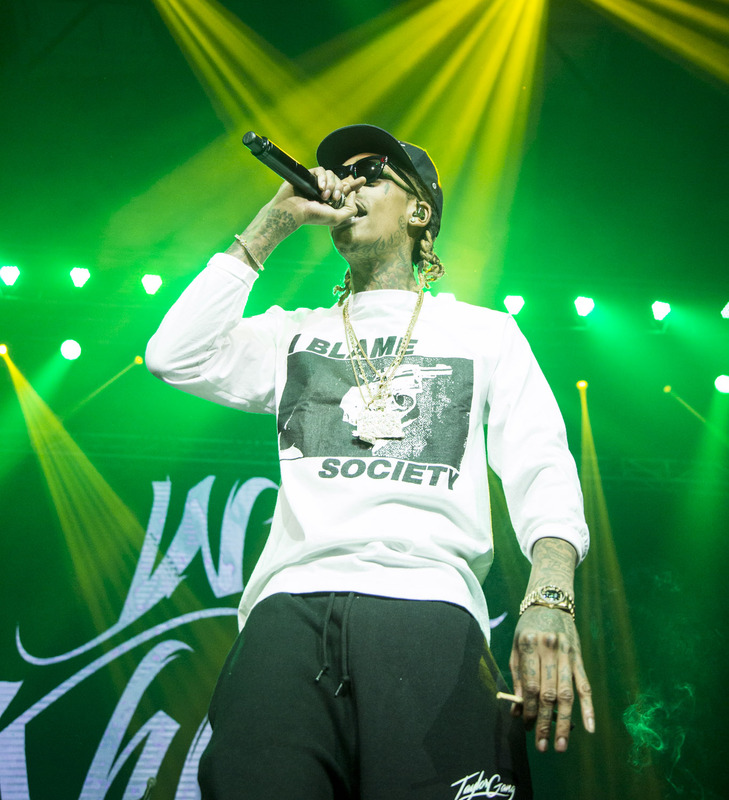 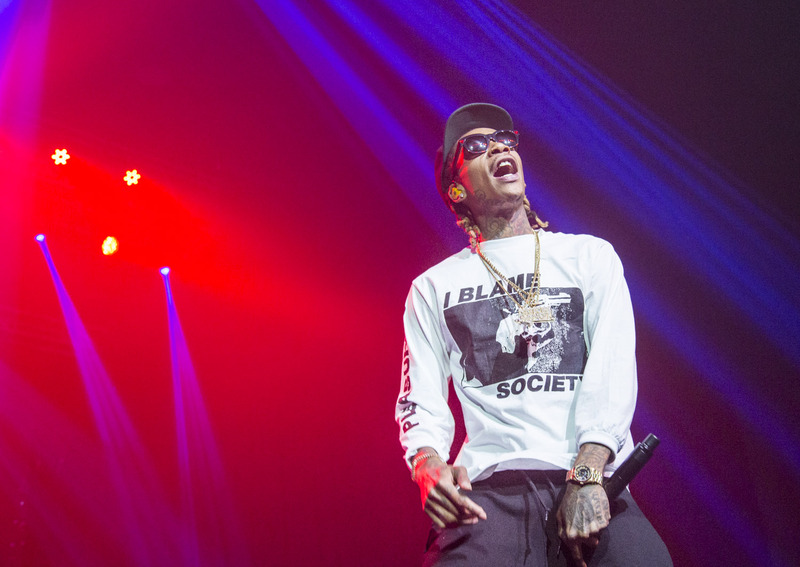 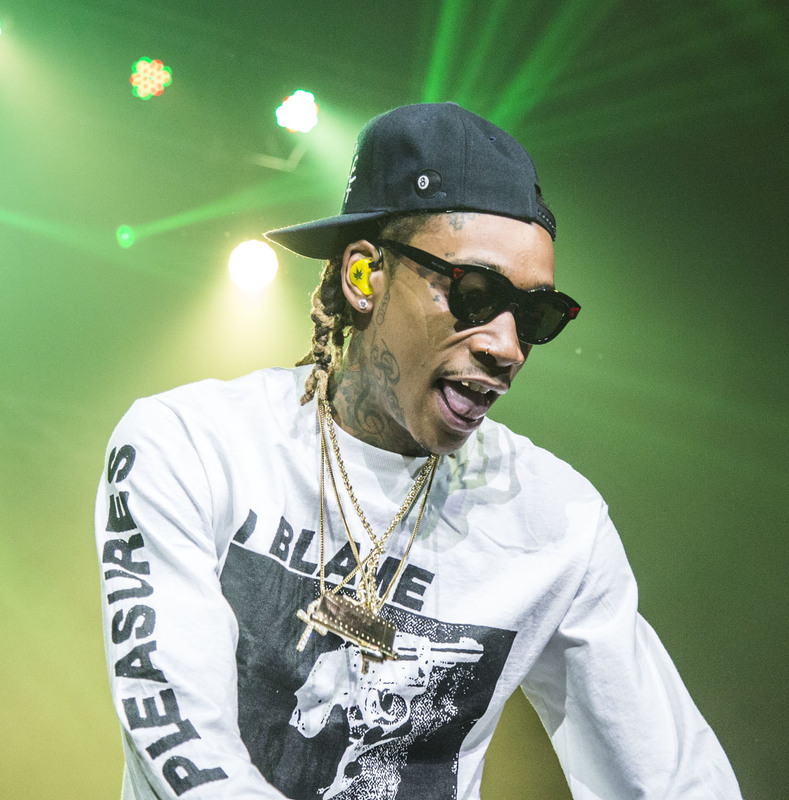 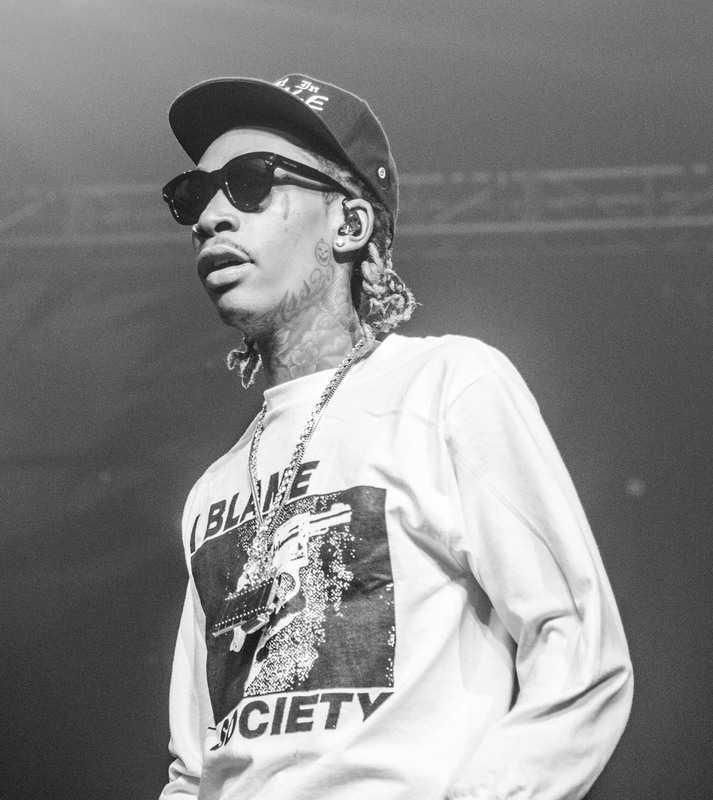 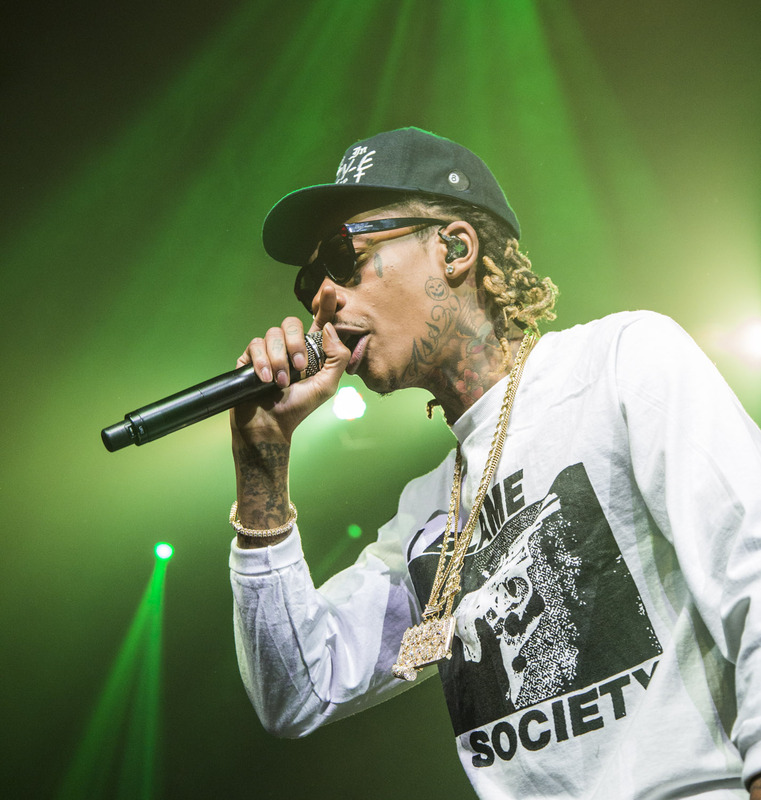 As for the main attraction himself, Wiz Khalifa only brought added grandeur to the proceedings. 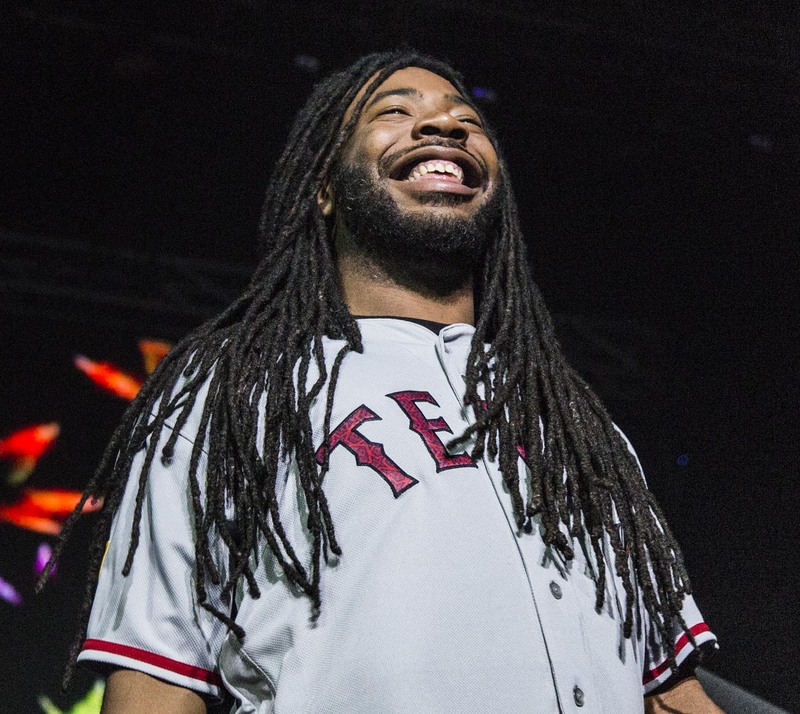 For the night’s finale, he entered the stage smoking a huge joint of his signature strain, also wearing a huge smile on his face before jumping straight into “We Dem Boyz,” which here in Dallas Cowboys country of course stirred everyone into a frenzy. 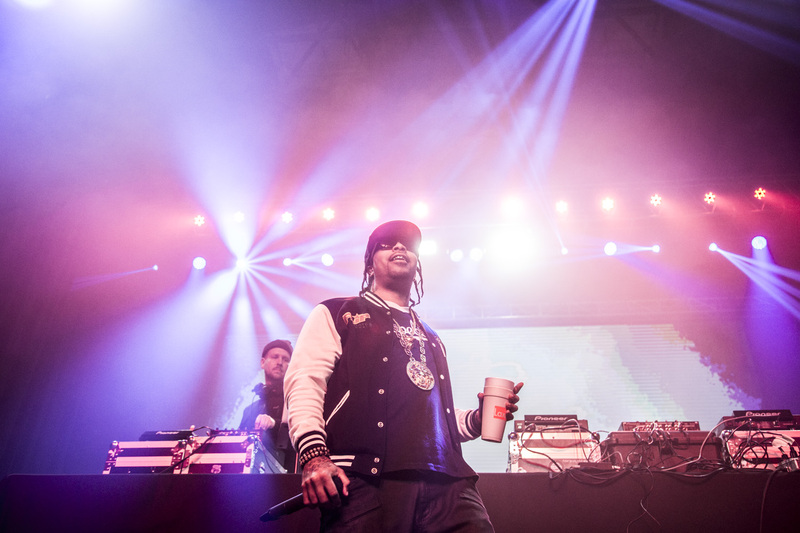 But that was only the start of a dazzling set to come — one highlighted by the surprise appearance of Curren$y, who joined Wiz on stage for a medley of their oldest tracks. 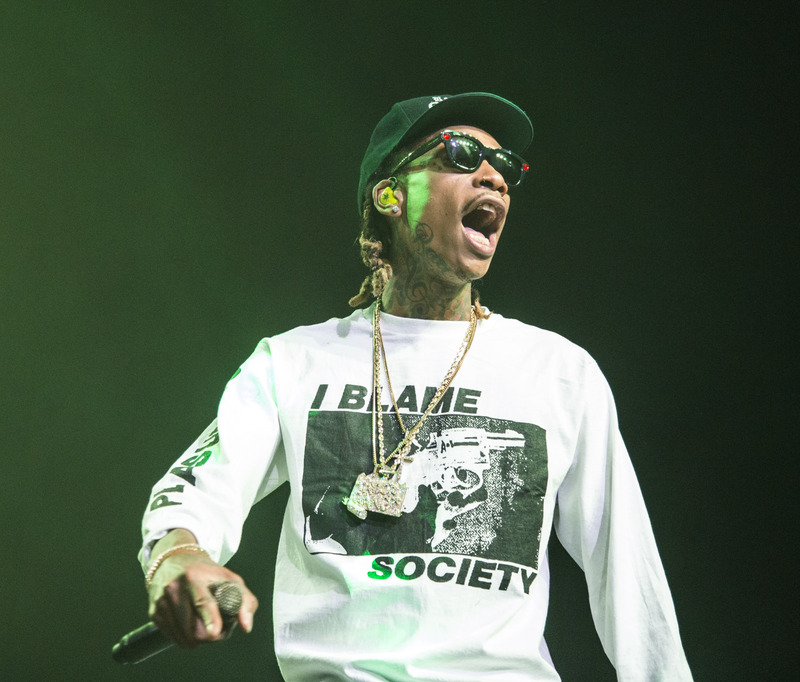 For the older Wiz Khalifa fans in the house, this was a true treat, hearing songs like “Car Service” and “Friendly” — as well as a smattering of Kush & Orange Juice songs — over excited screams from the Day One fans scattered about the space. 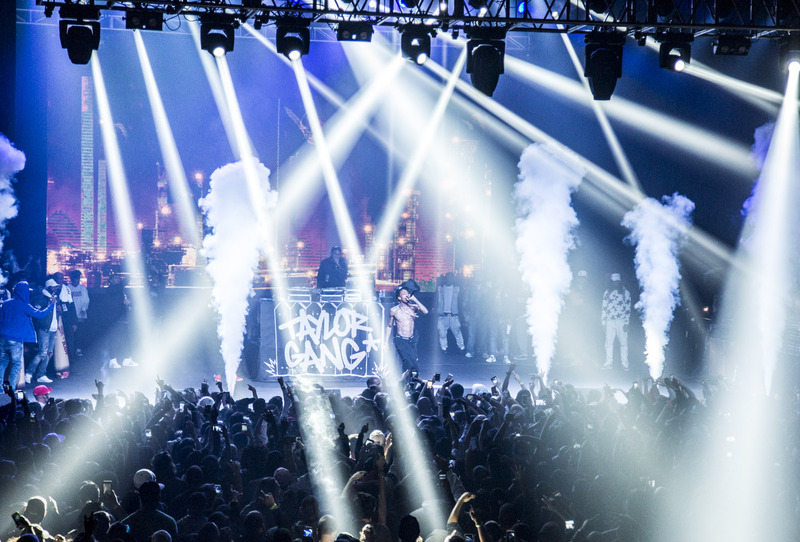 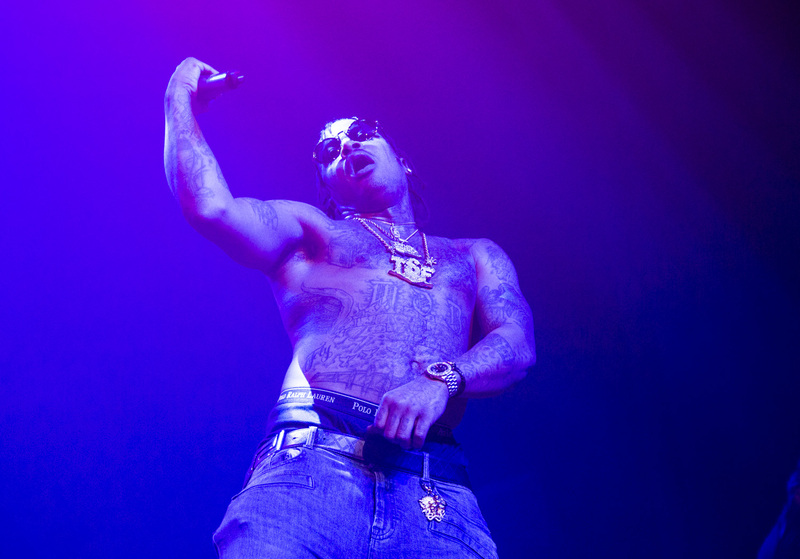 Later, when his Taylor Gang crew joined him out on stage, it wasn’t just icing on the cake, but sprinkles on the icing. 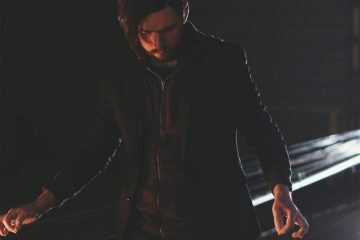 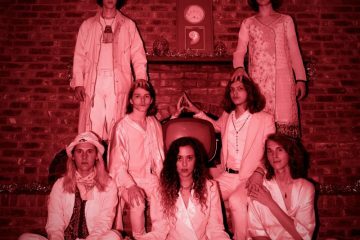 Included in that group was 24kbric’s Mason “Bric” LaDue, the man behind this whole show — a fitting homage to the night’s success, no doubt. 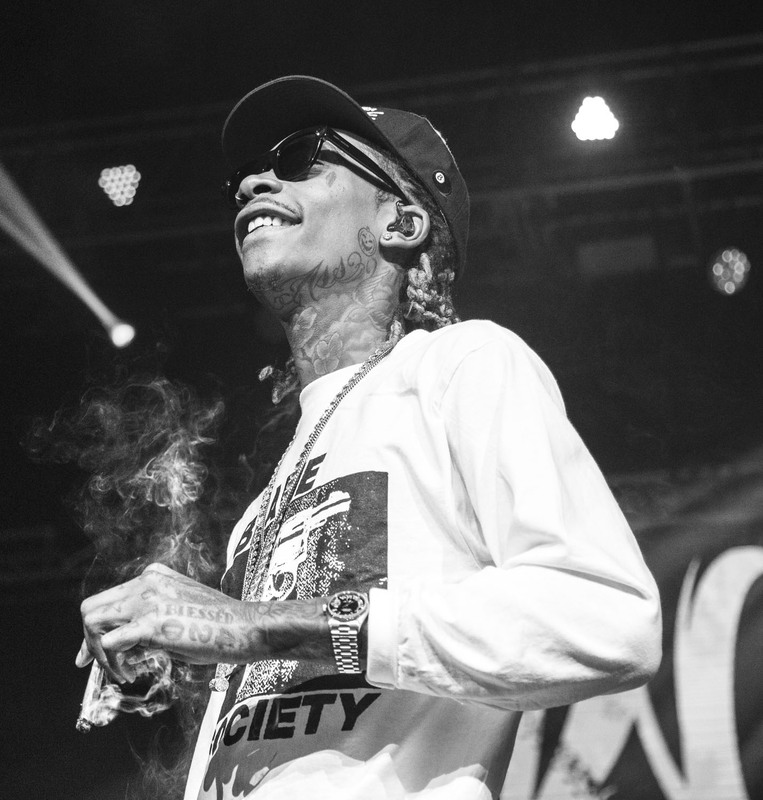 All in all, Friday night’s show was filled with satisfaction, smiles and smoke. 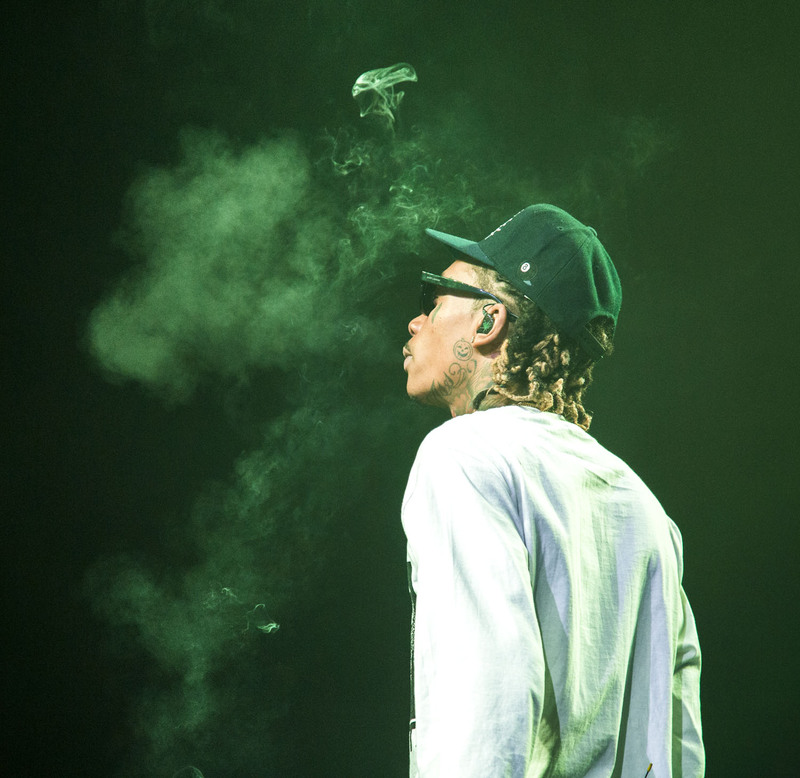 It was a night for the books, that’s for sure.